To be cruel is to be evil – Actually, not quite. Sometimes, you have to be kind to be cruel, or you have to be cruel to be kind. Naturally, evil entities are always pretty cruel typically – Torture, revenge via humiliation, the usual. The ten gods we list below are all cruel in their own ways, but their degrees of cruelty each vary. 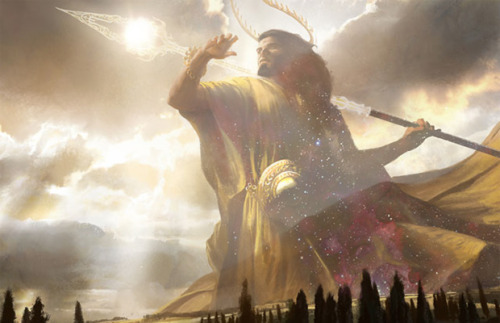 So read on for this week’s list, or I’m sure these deities will smite you for your indiscretions. Mung, the god of death, who follows Sish and his great hound Time, who makes against all things the sign of Mung and in so doing makes them no more. 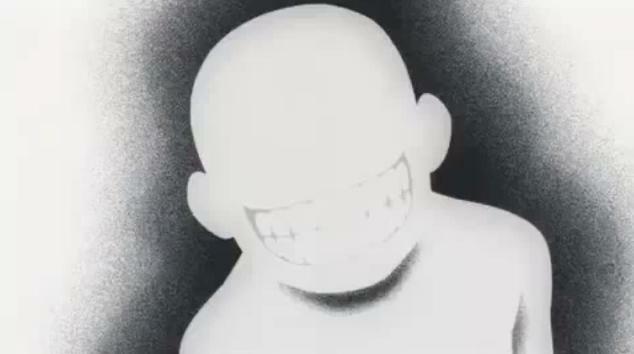 He seems to have a liking for appearing before mortals who are about to die, to inform them in no uncertain terms how pointless, and finite, and fleeting their lives were, before making the sign of Mung against them, and letting them pass back into non-existence. 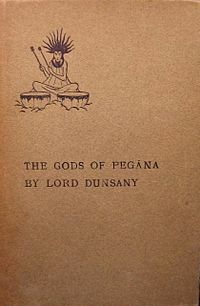 A few river gods tried to rebel against the Gods of Pegana, and none of them could do anything about it. But Mung dragged the Lord of Drought, Umbool, from his home in the desert, sat him on a hilltop, and let him smile over the rivers. Just sit… and smile… until the river gods learned their lesson, and then for a little while longer. One man cursed all the gods, so Mung left him alone, to live forever, trapped in a rotting shell, and panicking, pleading for death, even as he collapses into bones. 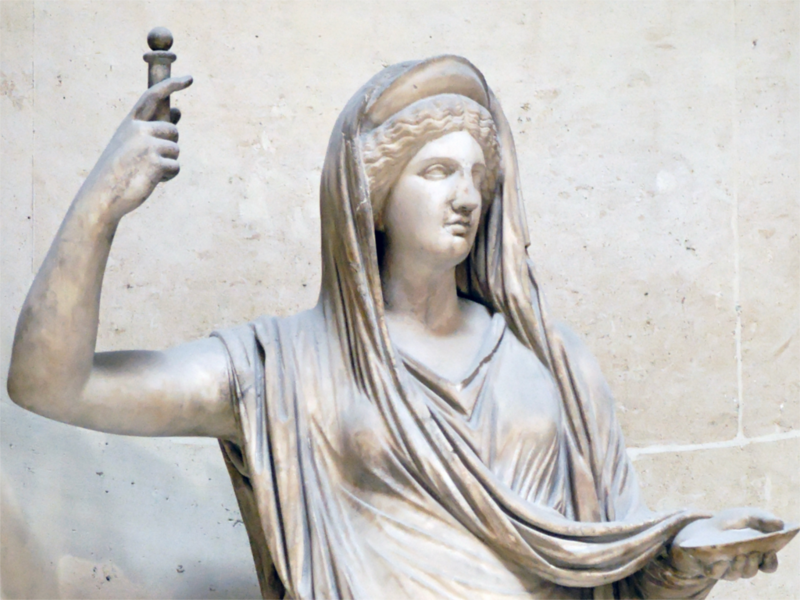 Hera of Greek mythology isn’t necessarily the first god/goddess that you’d have thought of, at least for this list. Indeed, Hera is supposed to represent the ideal woman. 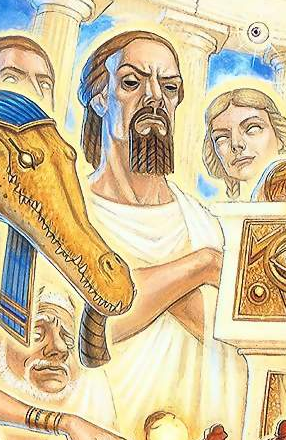 She was the goddess of marriage and naturally family, as she raised quite the family. However, she was really one of the most vengeful and indeed cruel of all the gods in Greek mythology. Indeed, we believe she was the worst of them all. She punished one of Zeus’s love interests, Io, by putting her in the charge of Argus. This was because Argus had “a hundred eyes”, meaning she’d never be able to sneak away to see Zeus. She turned Callisto into a bear, just because Zeus seduced her. This is all well and good, except Callisto’s son then hunted her. She basically told Semele to go and look upon Zeus. If a mortal does this, they burst into flames. Semele burst into flames. Another entry where we had to really consider if he was cruel; but indeed, cruel he is. Mr. Wednesday first appears on American Gods as a senile old man, who we quickly find out to be a crafty, incredibly wise conman. Mr. Wednesday explains to the main protagonist, Shadow Moon, that there is about to be a war between gods – and Mr. Wednesday quickly offers Shadow a job as his bodyguard, considering Shadow had only just gotten out of jail. Mr. Wednesday is cruel, manipulative and isn’t afraid to get his hands dirty. He’ll decapitate a god if he has to; so long as he gets his goal. Many of the gods don’t join Mr. Wednesday on his path to not be forgotten, but those who do knows just how fierce this old man can be. He may indeed be one of the old gods of the series, coming up against the more modern gods such as Technology, Media and The World – But he’s infinitely craftier and when the time calls, he can be nastier than you could ever imagine. When you dress like a jester, there’s no doubt in my mind that you probably have a bit of contempt for those who would think lowly of you. 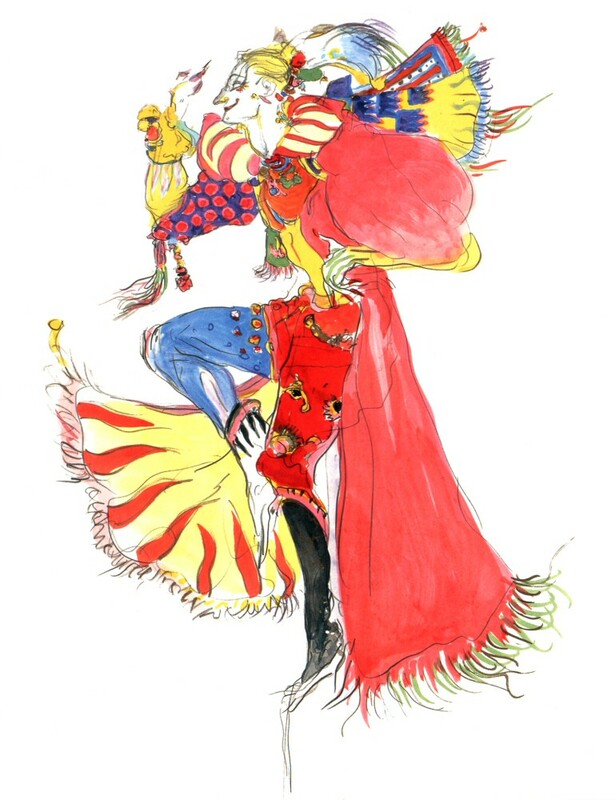 Kefka is one of these jesters, who acts as the court jester for the initial antagonist, Emperor Gestahl. Kefka listens and schemes in the shadows of the Emperor, which leads to the former court jester to achieving a form of godhood at the end of the game. Kefka has absolutely no regard for human life; he has barely any emotion himself to boot. He doesn’t care who he hurts, or how he hurts them. All he cares about is eradicating life, which is something he deems worthless. There’s not too much else to say about Kefka – He has little to no emotion, uses his own views that life is meaningless as a way to justify his murders. 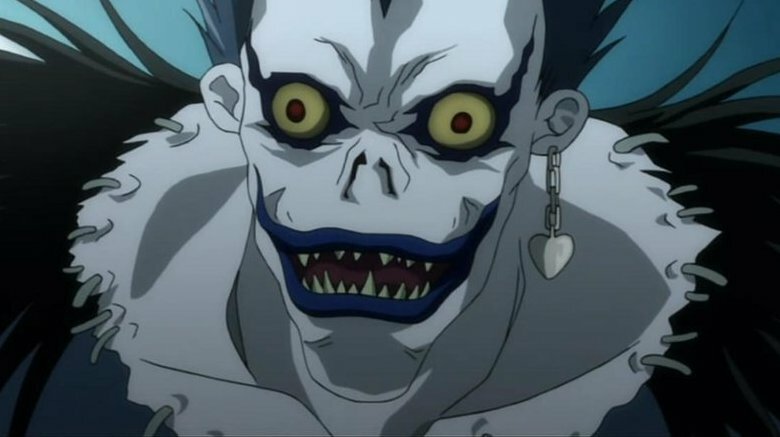 It would be a fair counter-argument that Ryuk never actually killed anyone malevolently, rather that he is merely a weapon of a more malicious mortal, and sure, Light’s a pretty messed up dude, none crazier than the people who think they’re doing the wrong thing for the right reason. But Ryuk is a mad-thing who just threw the ultimate weapons – complete with instructions on how to use it – out into the world without a second thought (the first thought being “Ooh, this should be good”). Ryuk is apathetic to suffering, be it the suffering of Light or his victims. He wouldn’t care if Light just killed at random, rather than selectively picking off guilty parties, or killing people who threaten to rumble his gig. Ryuk just smiles, eats an apple, and gathers up some extra souls to keep himself entertained, and so long as the fun doesn’t stop, and Light stays crazy, who cares what happens next? Sometimes, you have to be cruel to be kind. You also sometimes have to be kind to be cruel. 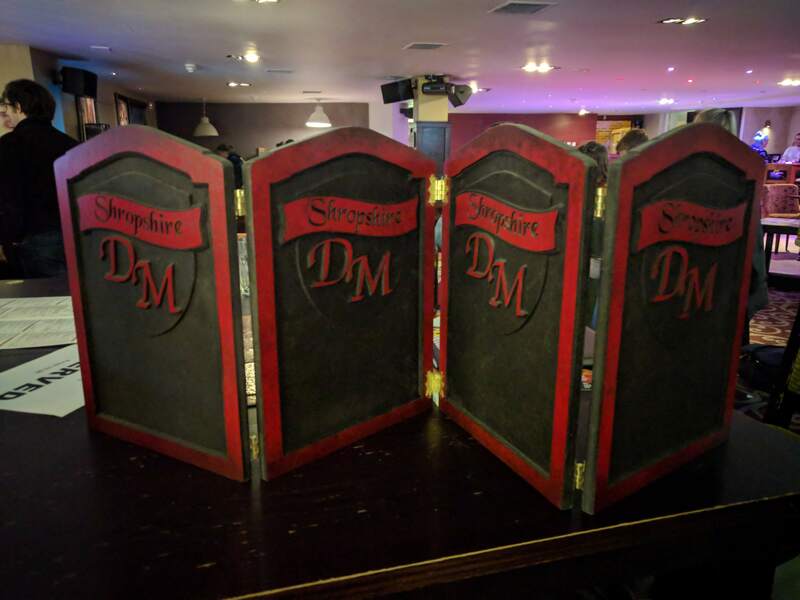 The law of alchemy in Fullmetal Alchemist simply states that if you want to create something, you must give up something of equal value – Equivalent exchange. You cannot bring the dead back, without giving up a body in return – and The Truth will tell you all of this. It’ll tear your leg off, it’ll take your brother from you and it’ll do as you asked: It’ll bring the shell of your mother back, but don’t think that the woman you brought back is the same you lost. The Truth isn’t evil, but it’s not good either. The Truth provides some of the deepest parts of the series, which isn’t surprising, considering it represents ‘God’. The Truth doesn’t work against anyone in particular, but it serves as a constant reminder that you cannot cheat the law of the world. You cannot cheat death without some consequence; you also cannot talk your way out of your fate. 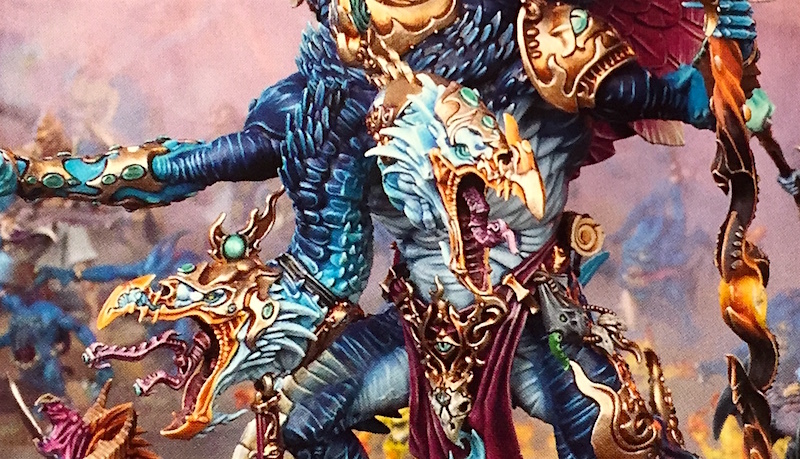 God of Magic, God of Change, peerless master of magic and reveller in intrigue, Tzeentch is a twisted creature from the bowls of Chaos who exalts in change for change’s sake. His worshippers are mutated beyond recognition, their flesh warped into new and experimental shapes, their minds twisted to the depths of madness, and only those who survive and thrive in that crucible go on to be changed further. Let us hold up as an example of white mana entities capable of wickedness, Heliod, god of the sun, King of the gods of Theros. Elspeth, our resident planeswalker, suffers the most at the hands of the entire pantheon, tricked into killing her lover by Xenagos, and tasked by Erebos, but Heliod brings about the worst of her suffering. Convinced that she stole his sword, and that she is responsible for the upset in the heavens, he takes the worst actions against her. Having lost his sword in a fight with Purphoros, seeing it return in the hands of one capable of both resisting his might, and wielding it to kill a newly arisen deity, he uses and manipulates her power to restore his idea of a status quo, before killing her with her own weapon. He then leaves her corpse in the hands of her friend and mentor, Ajani, demanding she be taken back to the world where her soul can be condemned to Erebos’s realm. Briefly considered – The Great Om, who’s clergy created thousands of erratic commandments, and Offler, who forbids broccoli, and demands burnt offerings of sausage. But Fate, Fate is cold. As all the gods of the Disk play their games with the souls of mortals, only two stand a chance against one another. Even the King of the Gods, Blind Io, with his thousand eyes, cannot foresee the threads upon which Fate pulls. Utterly unafraid of the sacrificial play, as the deaths of all men are preordained, Fate is a black-eyed master of strategy, and the weaving of complex patterns. Only Luck, that sweet Lady, may smile on a few mortals who Fate has decided shall suffer for his gains. She seems capable of undoing his plots with the faintest of coincidences, and while she may seem a kindly being, she’s every bit as fickle in who she might favour, or condemn. And if anything, she may be every bit as cruel as her opponent. It’s the Lord of Terror himself, Diablo is incredibly destructive, but more so, he is cruel. Diablo is one of the three demonic Lords of Hell, also known as the Prime Evils, along with his brothers Bael and Mephisto. In a war waging between angels and demons, Diablo takes the lead, even over the other two demon lords, in an attempt to allow demons to take over the world of Sanctuary. The mortals who live in Sanctuary, including the player character, have to endure constant horrors. The dead walk the Earth once more; some people are driven to insanity. There are some brave warriors who would defend their homes against the demons, but let’s be honest – There’s no unseeing the atrocities that Diablo commits. All in all, this big red hulk is probably going to burn you alive, but before that, he’s likely going to make you lose your mind in the process. I remember when I first booted Black & White up as a kid; the awe-inspiring graphics (at the time), the promise of being a god, the open land with which to do whatever I wish to do. 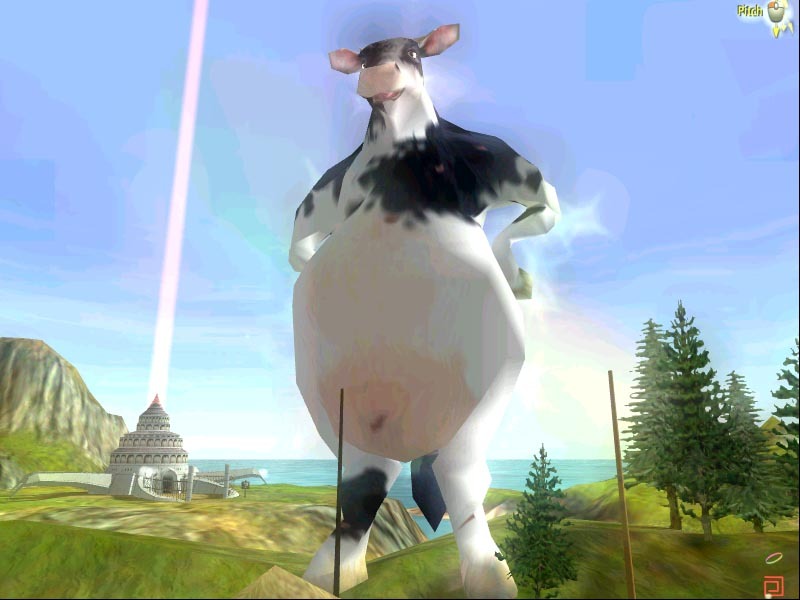 Black & White was a God Game developed by Lionhead Studios, which was met with critical acclaim upon release. You choose a creature, you decide how you want to solve the problems of the game and off you go. Naturally, you can choose to be good or evil. You can allow your creature to eat villagers, to terrify the others. You can get your creature to kick down buildings. Prefer throwing things? No problem, just launch a boulder at an enemy village. You can sacrifice your villagers, launch them into the sea – You can even let your creature defecate over the hapless people – And why? Because you’re their god, damn it! Oh for we are a callous brood indeed, above the gods themselves, for we are puppeteers of gods and we have the power to make them dance! And we are fickle too, the merest poor decision can bring the sky crashing down upon your head. We have a veritable toolkit of suffering at our disposal, and a veil of mystery to surround us. Ultimately we may find ourselves beholden to only one force, the Dice Gods, who are not cruel, but cannot be called kind either. Even then it is within our power to ignore them altogether, to renounce them if we wish, or we can malevolently adhere to their every whim, and make claims of innocence. Can you imagine anyone so horrid? To blame happenstance for the misfortune we have brought upon you? You can come out of your hidey holes now, the big mean gods have taken off. They’re all going back to whatever home they came from, be it heavenly or hellish. Wherever they came from, just remember to not believe in them and perhaps, just perhaps, they’ll leave you alone. After all, these brutes surely only have power if you believe in them, right? … Right?! This week, our vote choices are a little bit different. As many of you will be aware, the comics industry lost a massive figure this week. He wouldn’t want you to mourn him, I’m sure, but instead, our vote for next week’s Top 10 list will be in tribute to Stan Lee – Three comic themed Top 10 lists to choose from. Thanks once more for joining us folk, it’s always great to think about these Top 10 lists. As ever, once you’ve voted, why not join in the conversation? What is your favourite cruel god on this list? Did we forget any really cruel gods? Did we get the order wrong? Share your thoughts in the comments below, or over on Facebook and Twitter. 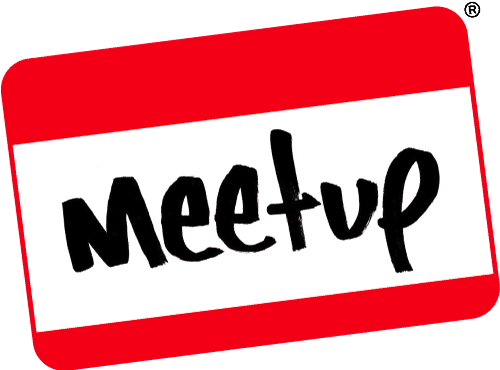 This entry was posted on November 17, 2018 by GeekOut Team. It was filed under Anime talk, Entertainment, Film, Gaming posts, Literature, Television, Top 10, Traditional Gaming, Video Games and was tagged with American Gods, Black & White, Blizzard, Cruel Gods, Death Note, Diablo, discworld, Fate, Fictional Deities, Fictional Gods, Final Fantasy VI, Fullmetal Alchemist, greek mythology, Heliod, Hera, Kefka Palazzo, Lord Dunsany, Magic: The Gathering, Mung, Neil Gaiman, Odin, player, Ryuk, Shinigami, Terry Pratchett, The Dungeon Master, The Gods of Pegana, The Truth, Theros, Top 10, Tzeentch, Warhammer.